NVF organised a 12k fundraising walk on Saturday the 12th of April 2014 which started at Greenwich, the Cutty Sark and finished at Westminster, the London Eye. 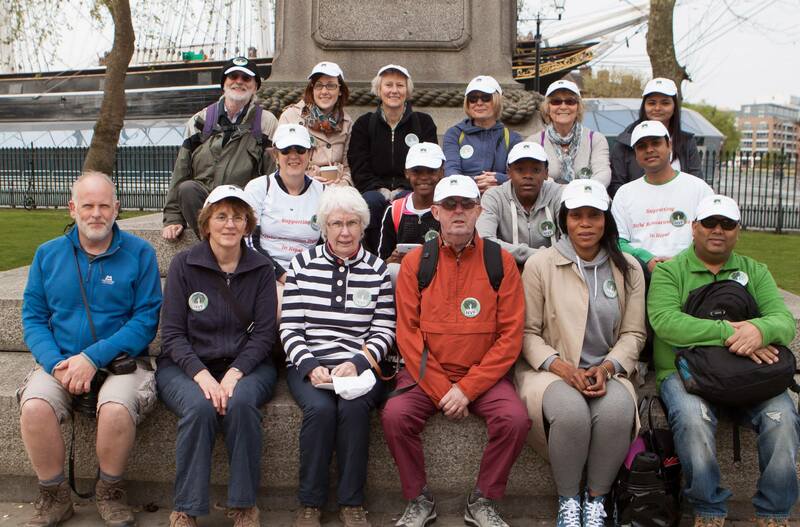 Seventeen supporters participated in the walk to walk along the Thames path through beautiful historical sites of Docklands. We had a fantastic fun day and raised over £2500 to support the Girls’ Education Project in Nepal. More at NVF 2014 Walk . Bronwyn and Robert got married in June 2012 and as a ‘post moon’ honeymoon trip, they wanted to undertake a challenge that has been on their bucket list for ages! 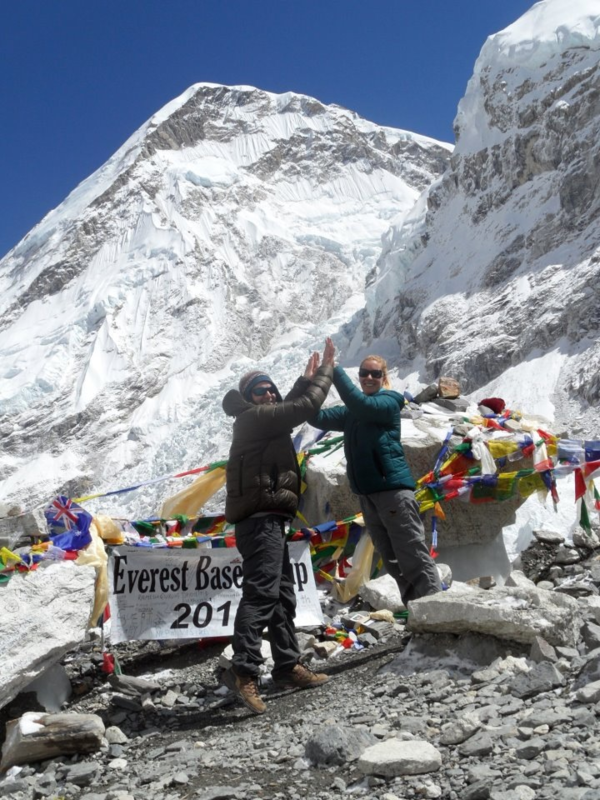 So for the challenge, they set up to trek to Everest Base Camp and they made it on the 28th of October 2012 at noon. Altitude of the Base Camp is 5,364 metres (17,598 feet) and trekking to the Camp is very tuff and not many people can do it but they did it and most importantly they are safe.